points shared in the rain! It was wet, windy and miserable. Rugby was on the tele but Gresford had done a great job on their pitch and the Ruthin faithful turned up in good numbers. It was a good game, entertaining for a 0-0 draw, with two good teams playing in difficult conditions. Gresford demonstrated why they had only lost one game in 14. They were organised, solid at the back and very capable. 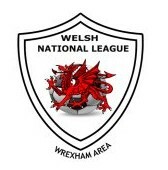 Ruthin showed why they had the same points as their host with a couple of games in hand. They were organised, solid at the back and very capable. Ruthin had to make changes early on as Cai Davies twisted his ankle and had to come off after 10 minutes. Youngster Charlie Williams came on to the right hand side with Gwion Owen going onto the left. The conditions made it difficult and chances were few and far between in the first half but Ruthin could have gone in with a lead as Jack Jones hit his own bar at the end of the half as he defended a cross. The second half was a different game as the wind increased, or was that my imagination. With the wind at their backs Gresford began to dominate possession with Ruthin manfully repelling all boarders. Again chances were in short supply but Llyr Morris had a penalty shout for Ruthin as he and Jack Jones went for a through ball in the box. The ever excellent Kevin Evans also had a chance with a header from a corner but unfortunately he headed straight at the keeper. Gresford in turn had a number of free kicks, shots and half chances that were caught in the wind and went wide, over the bar or both. Jordan MacCarter had a shot well saved by Ryan Goldston in the Ruthin goal and it was the former Ruthin striker who could have won it at the end but his shot hit the post. Both midfields tried hard to get control of the game but with conditions deteriorating the ball spent long periods in the air which didn’t suit the team facing the wind. All in all it would have been harsh had anyone won the game as both sides worked extremely hard and were a credit to themselves, their managers and their clubs. A big well done to Gresford for getting the game on. They were excellent hosts and the pitch was in really good condition considering the rain we’d had.